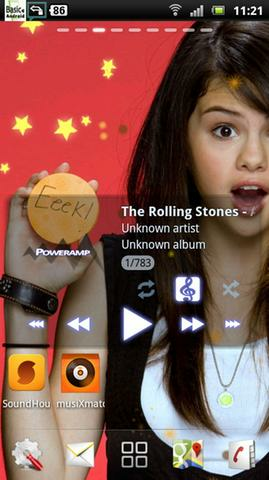 Selena Gomez Live Wallpaper 3 - Selena Marie Gomez (born July 22, 1992) is an American actress and singer. Gomez first made her debut appearing as Gianna in Barney & Friends, lasting from 2002 to 2004. Following this, Gomez had cameo roles in films such as Spy Kids 3-D: Game Over (2003) and Walker, Texas Ranger: Trial by Fire (2005). In 2006, Gomez appeared as a guest star on an episode of the Disney Channel series The Suite Life of Zack & Cody, as well as Hannah Montana. Following this, Gomez starred in the Disney Channel television series Wizards of Waverly Place.